I have learned that when Amazon ships you a wrong order, they will not ask you to return the order if it is a low priced item. I ordered something, I forgot what. Instead, I was sent a small pair of collapsible sewing scissors. I informed Amazon of such and they credited my account for the amount I paid. I reordered the item. Amazon never asked me to return the scissors. Later, I ordered a hair dryer. The package arrived and I set it aside. Two days later, I got a message from Amazon stating my account had been credited for the amount of the hair dryer. Reason given: Account adjustment. I couldn't figure out what was going on. I opened the package only to find 10 huge jars of Vaseline. Amazon has not asked me to return them. They have not sent me a return shipping label. I am stuck with all that lubricant. What can I do with all this stuff? The only thing I can think of is to donate it to a nursing home. With all the non greasy ointments available today, I really don't know if a nursing home would want to use it. I believe nursing homes still use Vaseline for several purposes and day care centers as well. If I had it I would just donate it to the Hospice for Humanity thrift store as almost all of their intake money is used for helping people be more comfortable during the final difficult stages in their lives. All of their services are free (whether you can afford to pay or not). 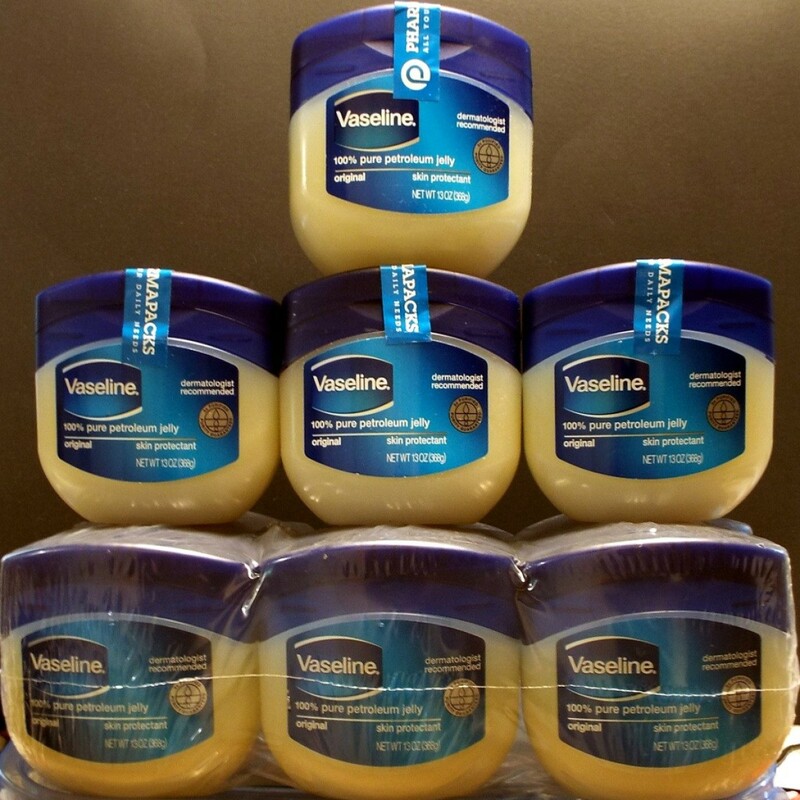 There are so many uses for Vaseline and in our household we still purchase them. You can ask if dental schools would like some vaseline (for chap lips when getting our teeth done, I always get asked if I want some vaseline). Nursery, daycare, may accept donations. Of course your family or friends / neighbors perhaps? Sell them on eBay, Craigslist, Facebook marketplace, or nextdoor or at your next tag sale and donate the money to your favorite charity. Or, see if a local food pantry or women's shelter can use.